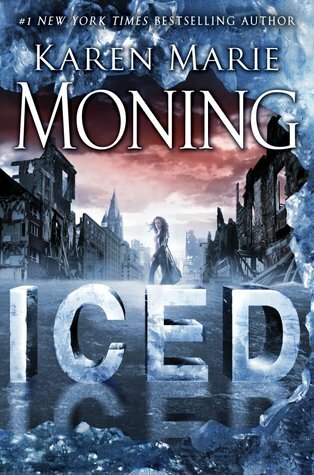 Jackaby, one of my favorite YA series, is coming to a close this week and I realized while I was reading my ARC of The Dire King that I've only reviewed the first book in the series in a Read This F@!%ing Book post back in 2014 when I first started reviewing books here on the blog. I'm going to fix that. Between now and Friday when my review and blog tour post for The Dire King goes live, I'm going to be reviewing the rest of the series starting with book two. So let's talk about the Beastly Bones! Have you ever been reluctant to pick up a sequel to a book that you absolutely adored because you’re afraid that it won’t live up to the expectations of the first book? Beastly Bones was one of those books for me. Jackaby was easily my favorite book the year I read it and I couldn't help but fear that its sequel would fall victim to the second book syndrome. What if I didn’t like it? 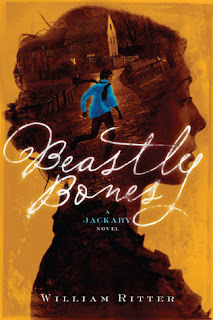 Well, I’m happy to say that I loved Beastly Bones just as much as I did Jackaby! It had the same fun and mysterious feel that the first one did along with all the interesting paranormal elements, strange happenings, and hilarious dialogue. Plus, there’s shapeshifting kittens of all things! I cannot begin to express how much I love the characters in this series. Jackaby and Abigail, they compliment each other so well. Jackaby’s eccentric no-nonsense scientific approach to the supernatural is easily offset by how down-to-earth and centered Abigail is. I love how Jackaby’s habit of missing the obvious plays well off of Abigail’s snappy wit and sharp mind. They’re the best! And we get to see the other characters we fell in love with in the first show back up again. Jenny and Douglas are still my favorite secondary characters. The cast is expanded in this book as we are introduced to a few new characters which include a very interesting tracker who is kind of the Hagrid of the Jackaby universe, two fighting archaeologists, and a reporter that just won't quit. The story is well paced, funny, and filled with lots of character growth. The mystery kept me guessing until the end and when the big reveal happened everything just clicked into place and I feel like I should have been able to guess it. I love the fact that I didn’t! This book was so much fun to read and that’s just what I needed when I picked it up. Something that I appreciate about William Ritter’s writing is that not a single event or character is unconnected in his books. I feel like I could read about Jackaby and Abigail’s adventures for longer than the four books we're getting. Beastly Bones was the amazing and fun sequel that Jackaby deserved and I can’t wait to read Ghostly Echoes!